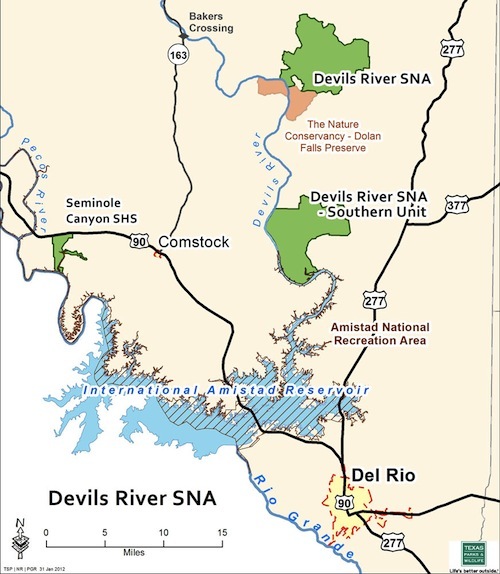 The Devil’s River Working Group issued their “Final Report & Recommendations” recently for download at the Texas Parks & Wildlife site. You know this is going to make for some great reading on one of the most beautiful and remote fly fishing river destinations in Texas. If you don’t already have the Devil’s River on your Texas fly fishing bucket list, it needs to be there. I want to do a before and after of the Diablo, and let readers decide for themselves whether all this print, all the politics, and all the time it’s going to take to get this done – is actually worth it. I will read the whole enchelada and follow up on this post in about a week. NOTE – I did hear from a member of Austin Fly Fishers that the Austin Fly Fishers are planning a trip to the Devil’s April 13-16 this year.